Even after 27 years, The Tokyo Auto Salon is still the premier showcase of automotive fashion from a country that has no shortage of them. Many trends have come and gone over the decades, but TAS will probably always have classics in one form or another. Updated with today’s technology and build techniques, here are (to borrow a term from modernized muscle cars) the Japanese restomods. 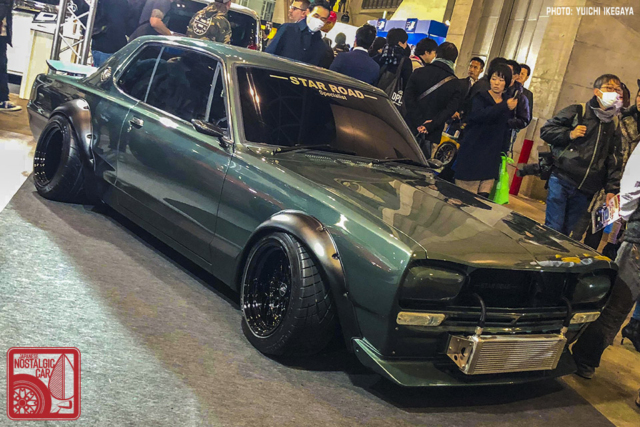 Osaka-based Speed Forme was back, bringing their signature restomod style to the Kenmeri Skyline. The primary trait are the streamlined over-fenders that add a touch of modern flair without going too crazy, yet still accommodate larger, modern wheels like the Volk TE37V. 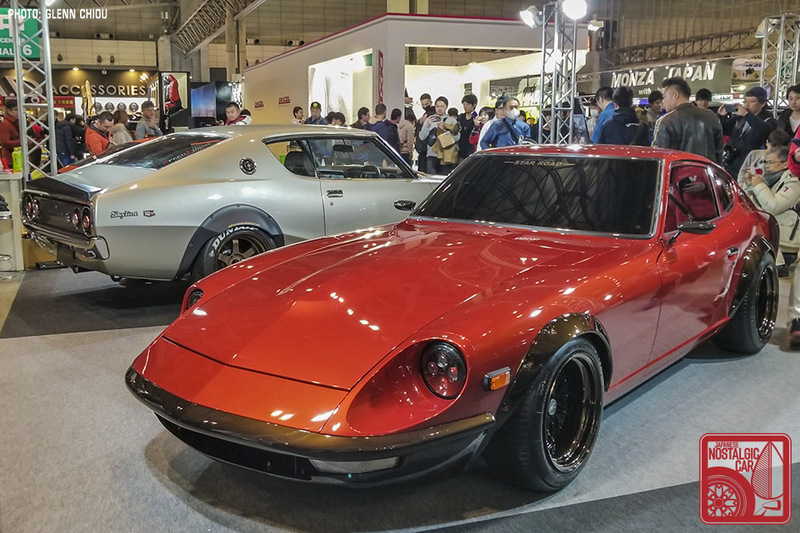 Displayed alongside the S30 Fairlady Z that brought them renown, the pair showed how classics are ever-evolving. 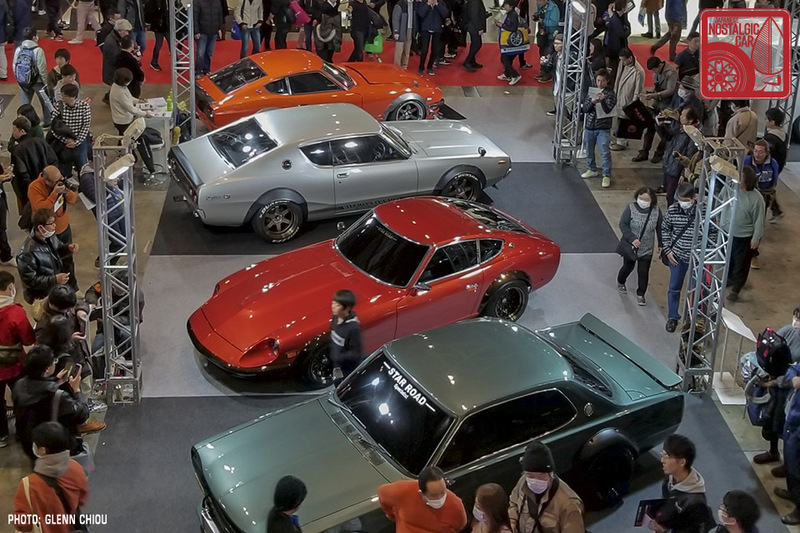 Star Road has grown from an obscure shop outside of Tokyo into one of Japan’s premier classic tuning shops. 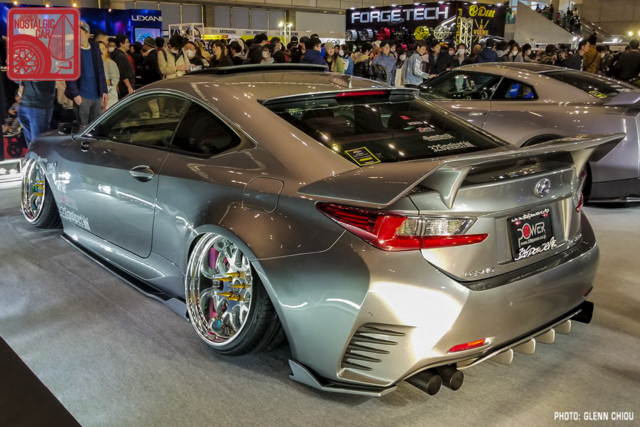 This year, they debuted their semi-wide over-fenders, which allow for massive 225/45-15 Toyo R1R and 245/40-15 Maxxis VR-1 tires to be stuffed under the flares. 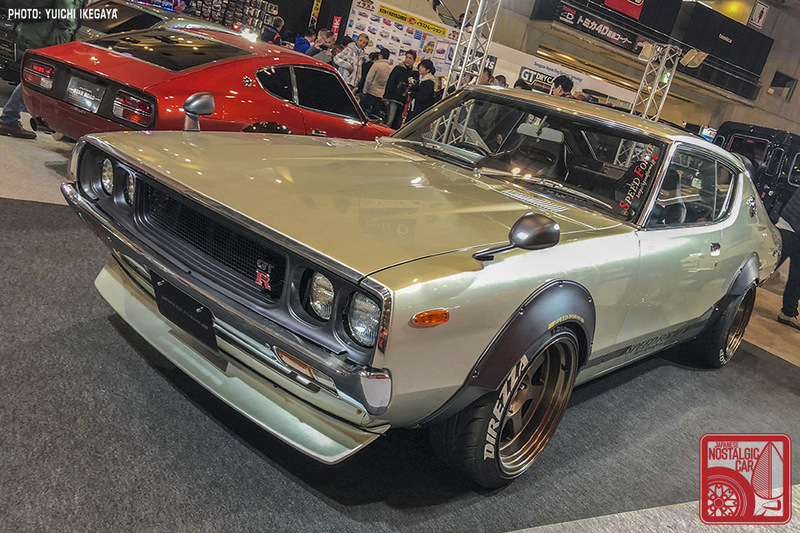 On a de-bumpered and de-chromed Hako, the look evoked the look of an old school street racer, and was among the most aggressive C10 Skylines displayed in recent memory. 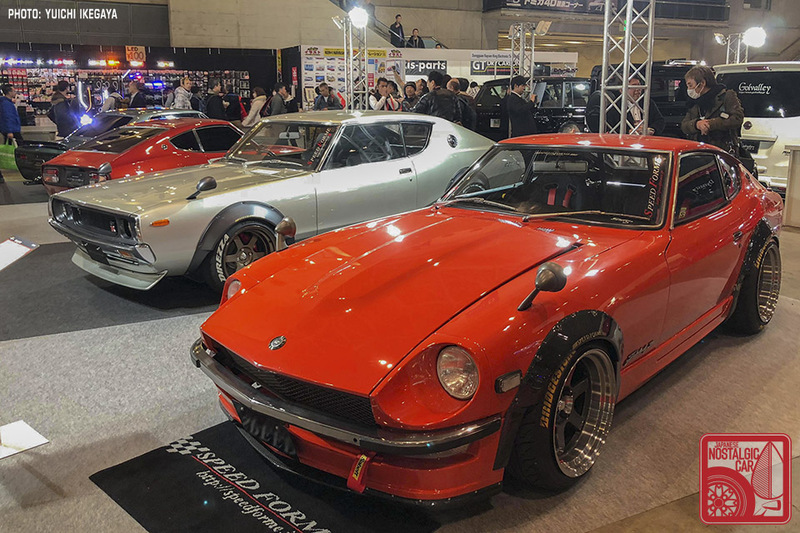 Perfectly paired with the Hako was a Fairlady Z that looked a bit more subdued and traditional than the typical Star Road restomod. 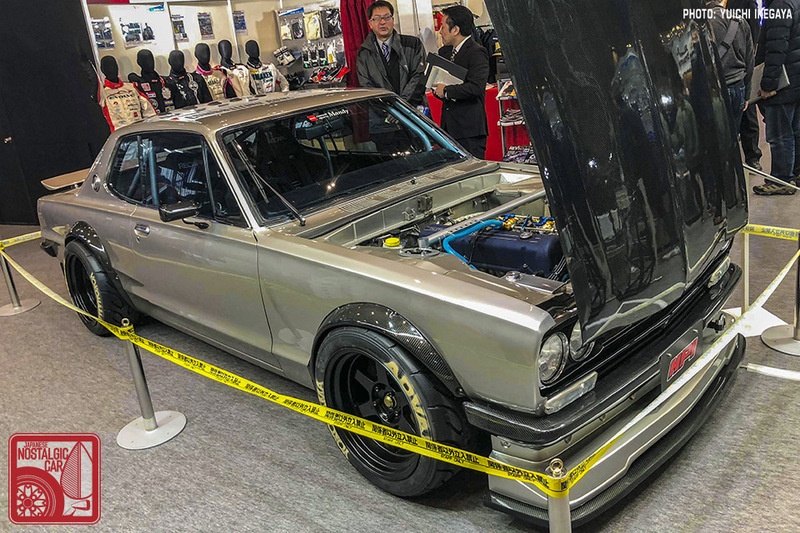 Both the Hakosuka and the Z ran stroked L28 inline-sixes, with output estimated at the 300 horsepower range. 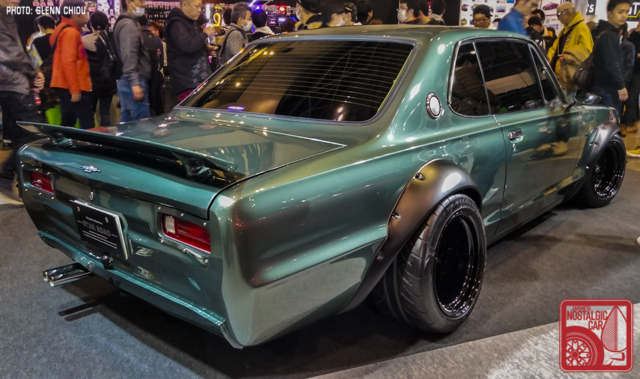 On the other end of the spectrum was the HPI Hakosuka. 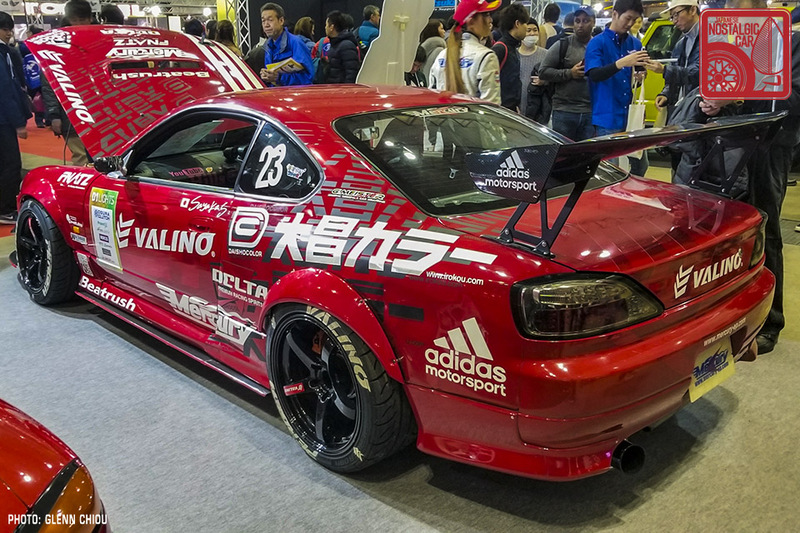 Though sporting an L-gata, the car perhaps tips the scales a bit too far towards the modern, with extensive use of carbon fiber and a Mandy front spoiler and rear diffuser combo that would look at home on a SuperGT race car. 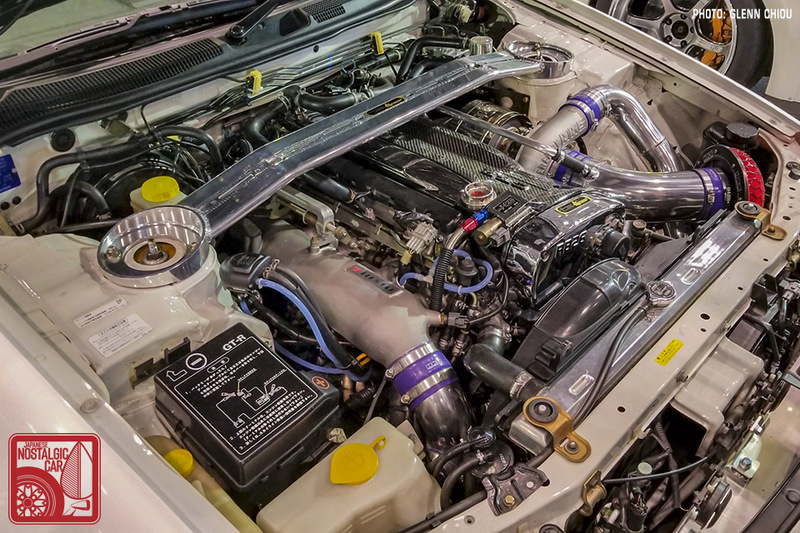 Still, the engine is quite serious, stroked to a 3.1-liter good for 320PS and 246 lb-ft of torque, made possible by Tomei cams and Kame pistons. The rest was a showcase of HPI parts made for keeping temperatures down, including diff and transmission coolers and a custom radiator. 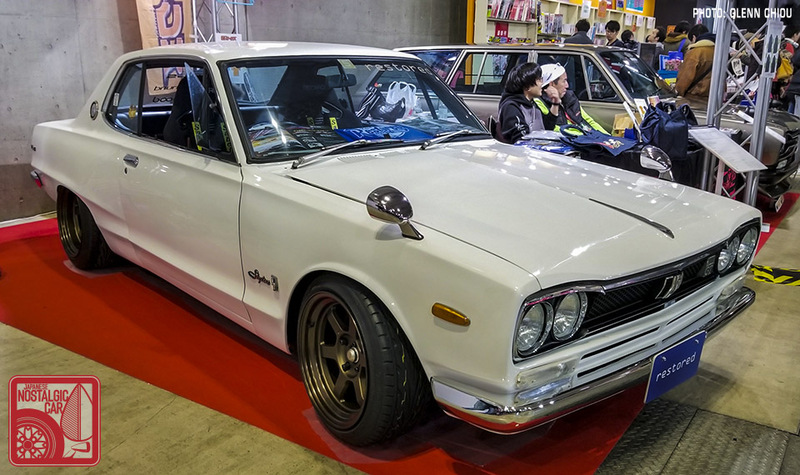 Restored displayed a fairly stock-looking KGC10 Skyline, but looks can be deceiving. 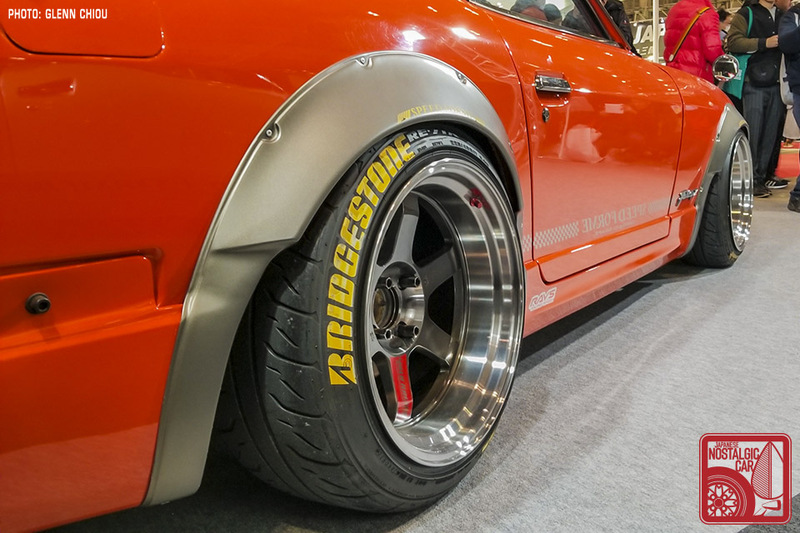 The surf line Hako’s fenders were redone in FRP in order to accommodate 8.5J -6 and 9.5J -25 16-inch Volk TE37Vs, front and rear respectively, over a Wilwood brake kit and lowered on Bils springs and dampers. 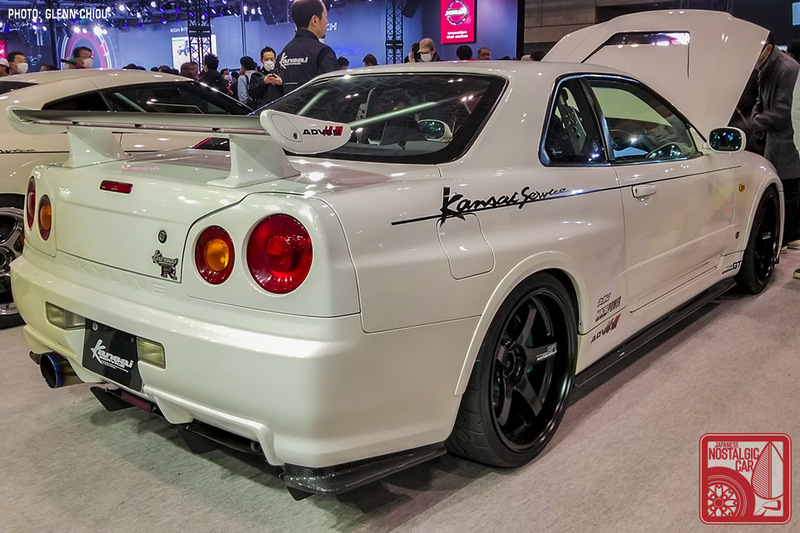 It’s a lot of effort to create an essentially stock-looking Skyline, but the handling improvements probably make it worthwhile. 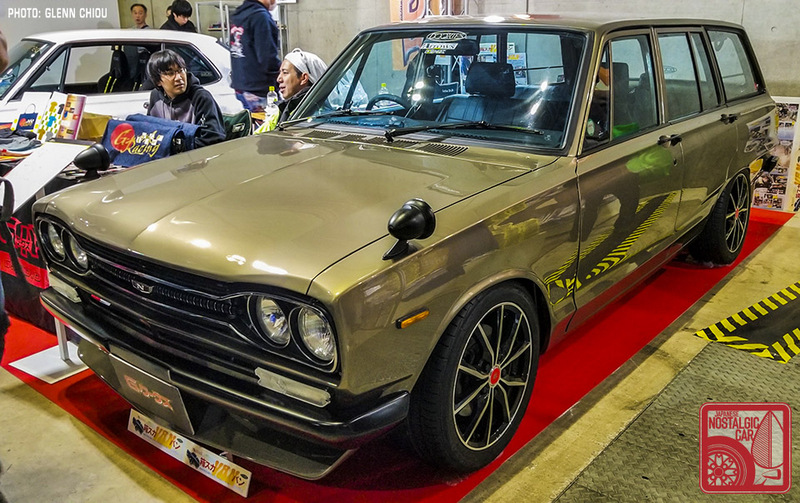 Beside it in the G-Works booth was a rare Skyline 1500 Van. Little information was given, but the fact that it wore a G-Works license plate probably meant that the feature car was packing something more than its original G15 under the hood. 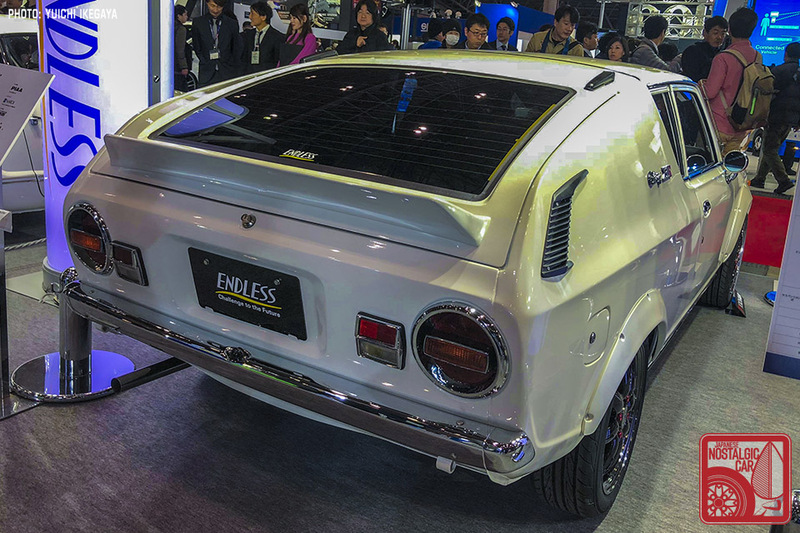 Endless Brakes continued their trend of showcasing their wares on oddball classics. 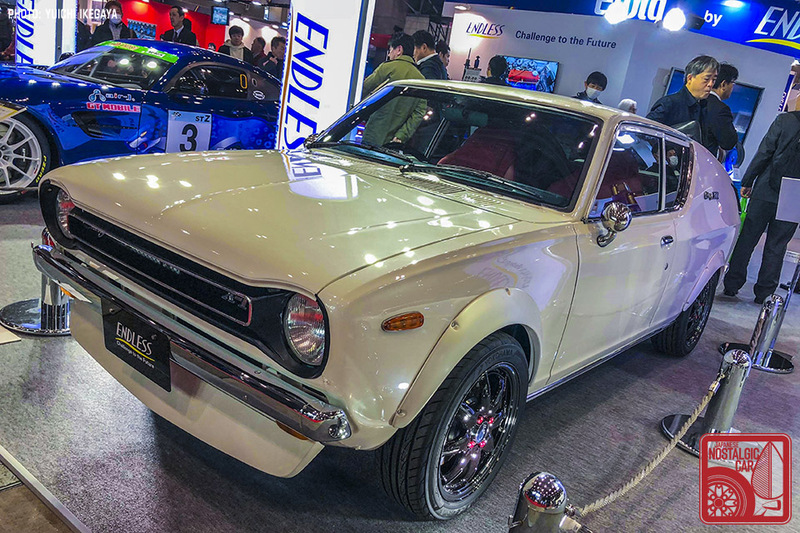 They started in 2016 with a Toyota Sports 800, then moved onto a Toyota Publica and a Prince Skyline BLSID3 in 2017, and last year showcased a Hino Contessa. 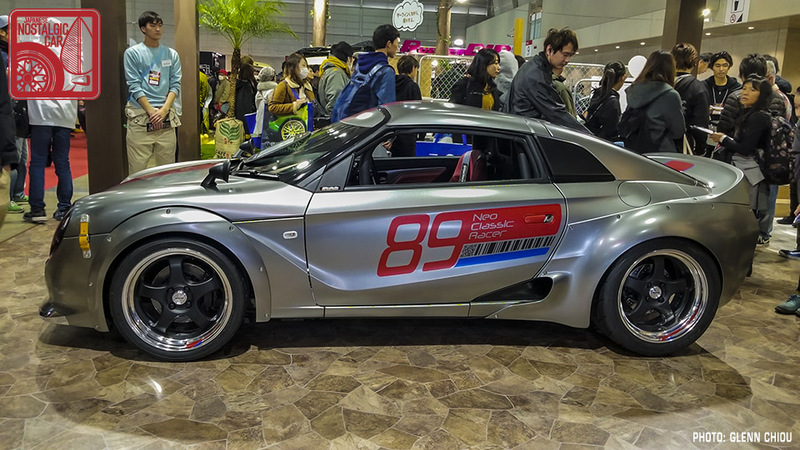 This year, a Nissan Cherry X-1R took center stage. 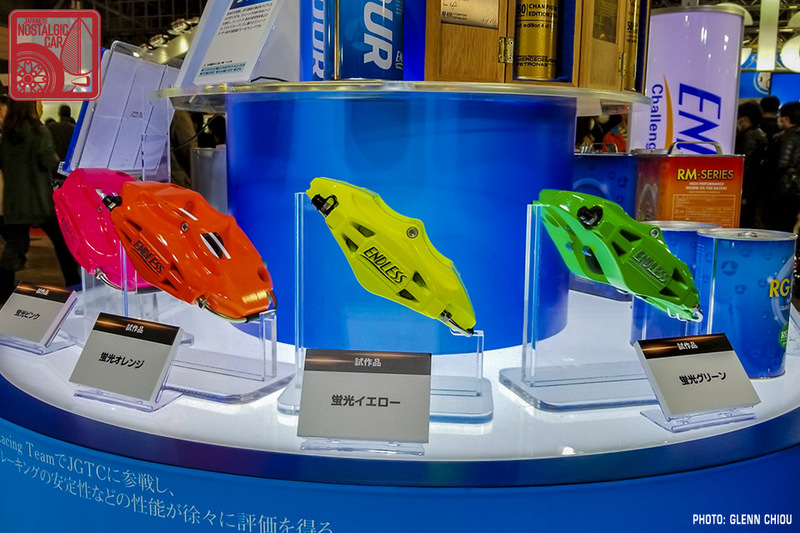 Endless also showed off their calipers in a multitude of colors to fit any application. 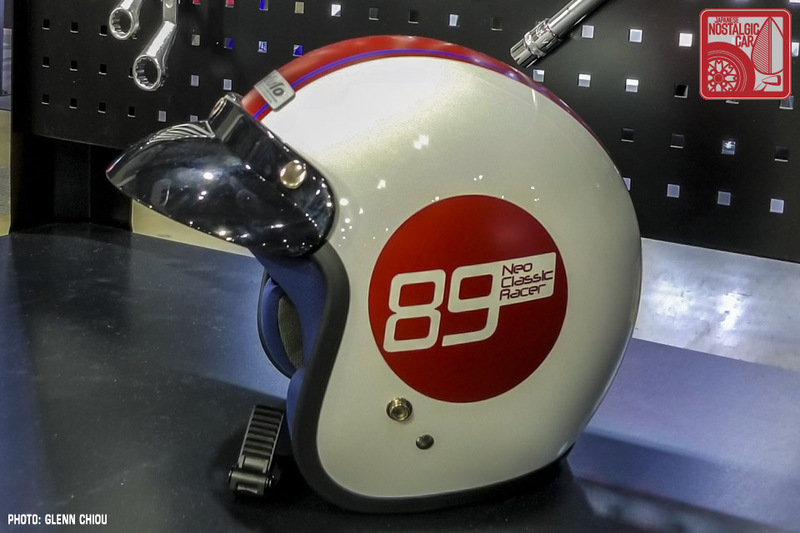 The Honda S660 Neo Classic Racer finally made its official appearance. 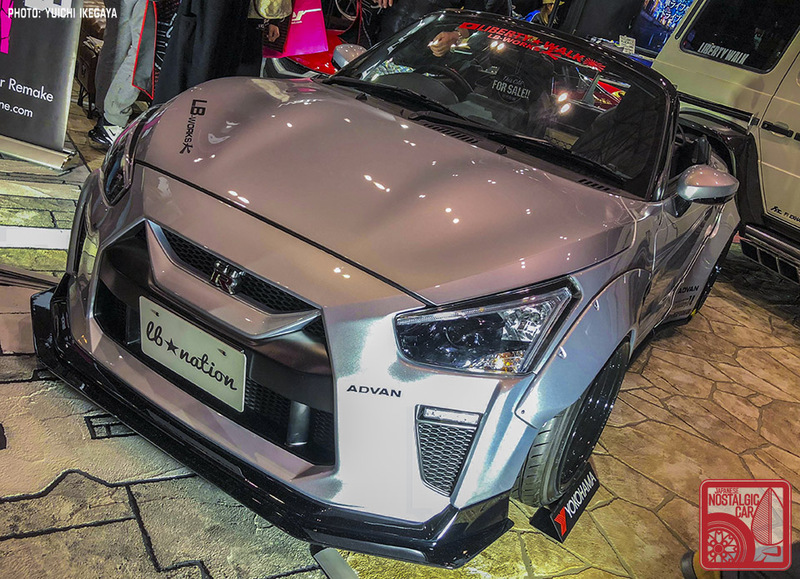 The retro-styled race car was built atop a Honda S660 chassis, but adds old school touches like fender mirrors, over-fenders, covered headlights that appear to be a tribute to the taped-over look from the sealed-beam era. It even comes with its own Speed Racer-esque racing helmet. 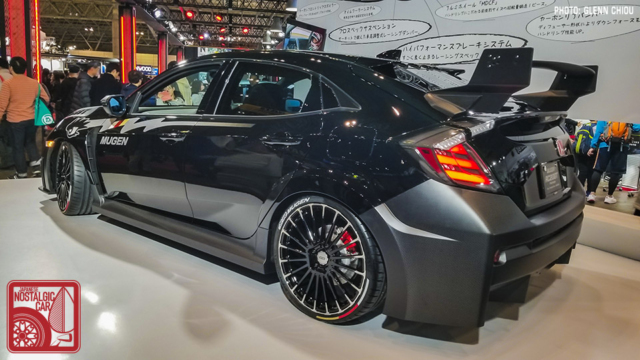 The new Civic Type R is already the fastest front-wheel-drive production car in the world, but Mugen wants to make it faster. 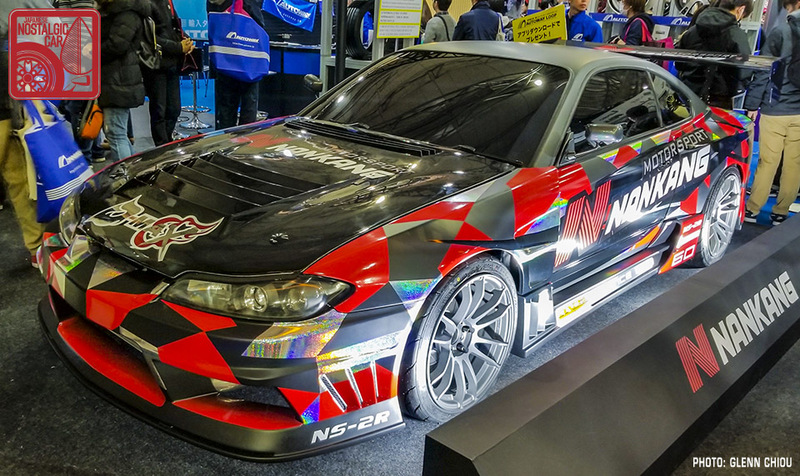 No power gains were mentioned, but the Mugen RC20GT adds better aerodynamics, as well as and front and rear bumpers and rear wing made entirely out of carbon fiber to reduce weight. Lighter wheels, as well as suspension, brake and exhaust upgrades might just shave a few seconds off the stock Civic Type R’s front-drive Nürburgring record. 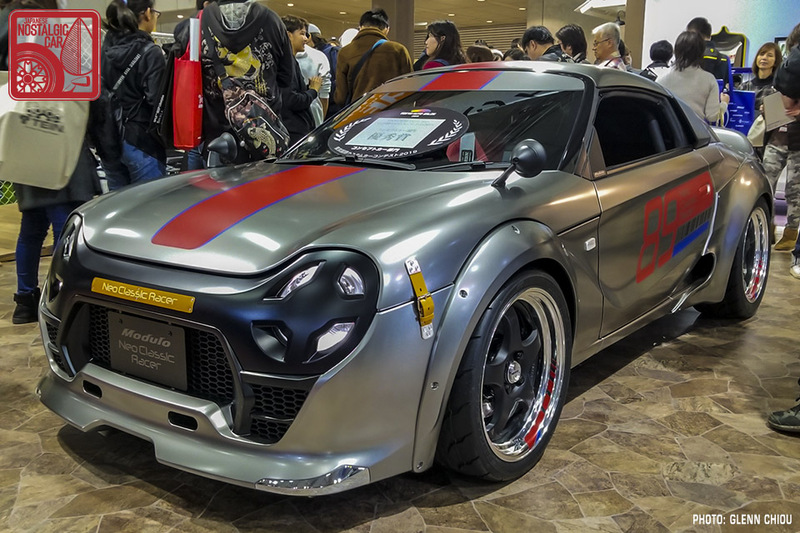 The long-held tradition of making kei cars look like cooler, full-size machines is still going strong at the Auto Salon. 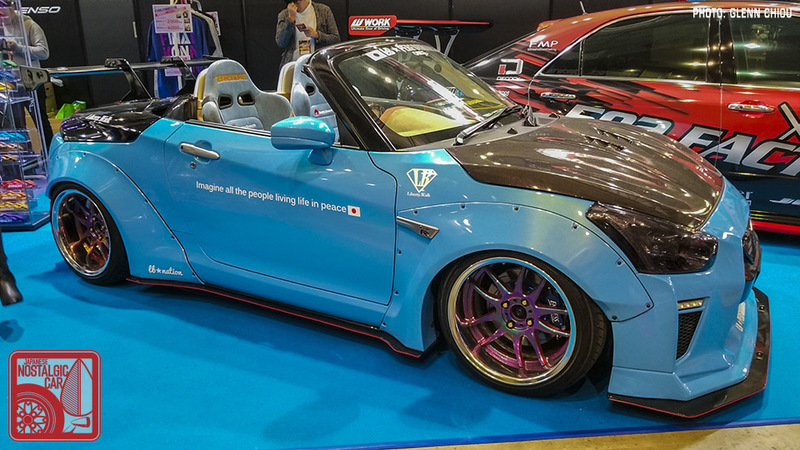 Liberty Walk, purveyor of widebody exotics, decided to have some fun with a Daihatsu Copen, Not only did they dress it up as an R35 Nissan GT-R, but it was a Liberty Walk widebody GT-R. Now you can have all the style of Godzilla, but in a compact, open-top runabout. 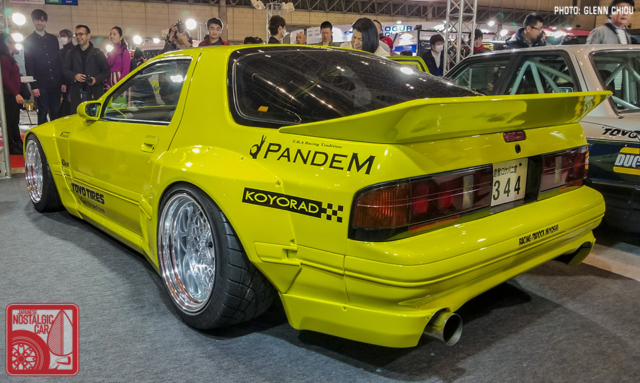 Rocket Bunny displayed their wild Pandem kit for the FC3S Mazda RX-7. 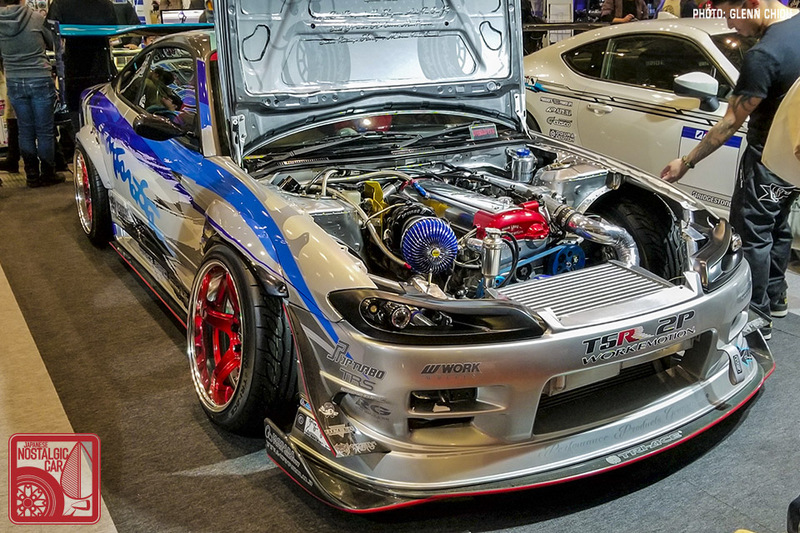 Though extreme, it stands as one of TRA Kyoto’s best works. 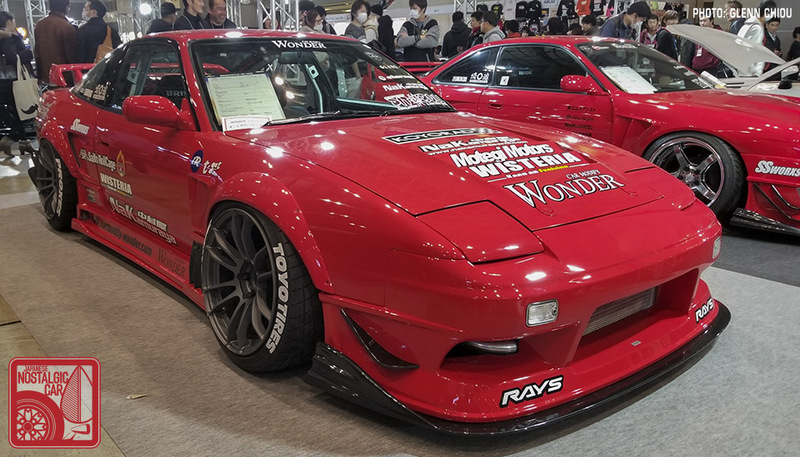 The large wing and aero skirts are reminiscent of Wangan racers of the Bubble Era, and gives the FC an undeniable presence. 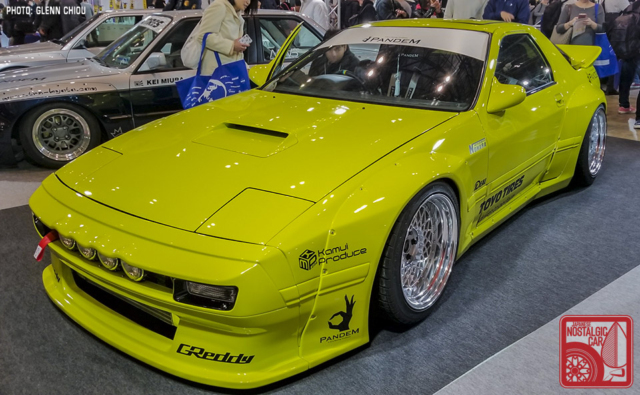 In highlighter yellow, it almost looks like one of the cars that might flash its lights at you in Tokyo Xtreme Racer. It might be offensive to some, but at least it doesn’t turn an FC into something it’s not. 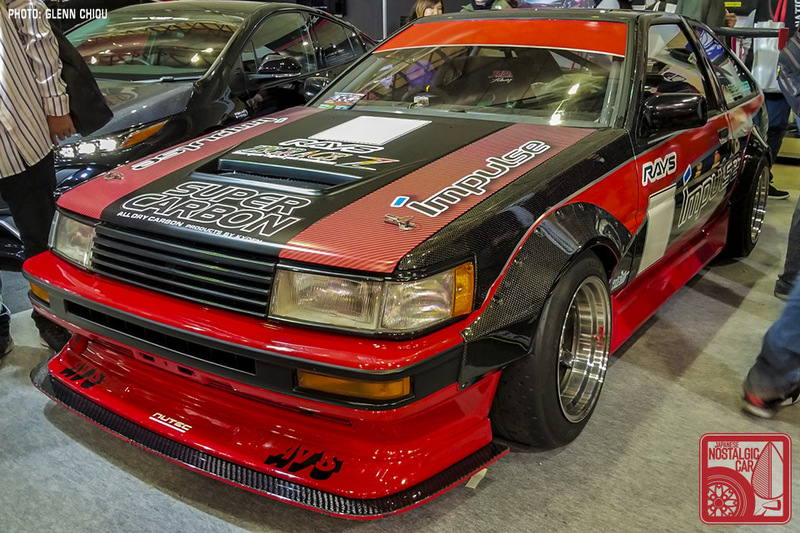 Kobe-based Impulse was back with their AE86 demo cars that’s more carbon than steel. Under its carbon fiber hood is a 20-valve 4A-G that makes 200PS mated to a 6-speed transmission. Sheetmetal pieces replaced by carbon include the fenders, doors, roof, rear quarter panels, and hatch. 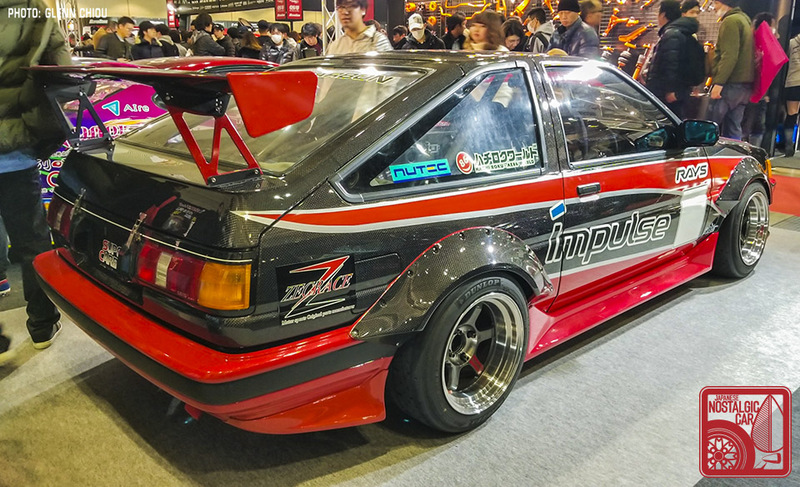 Impulse also makes a catalog of AE86 parts that are not carbon, such as a titanium exhaust, a 4-2-1 manifold, brake rotors, and dampers. It wouldn’t be an Auto Salon without a slew of Silvias, and this year did not disappoint. 500-horsepower SR engines are as common as giant wings. 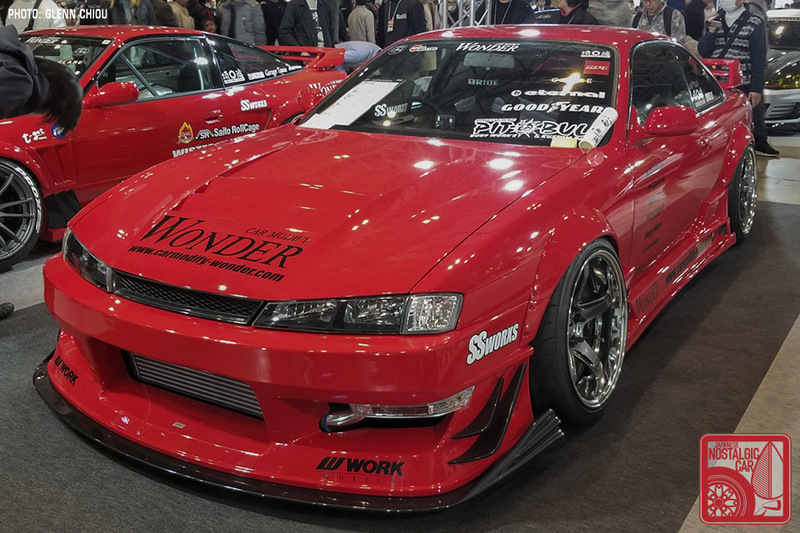 From the Flash 1JZ-powerd S15 to Car Modify Wonder’s matching S13 and S14s, to the Delta S15, Nissan’s lightweight, RWD coupe is still as popular as ever. 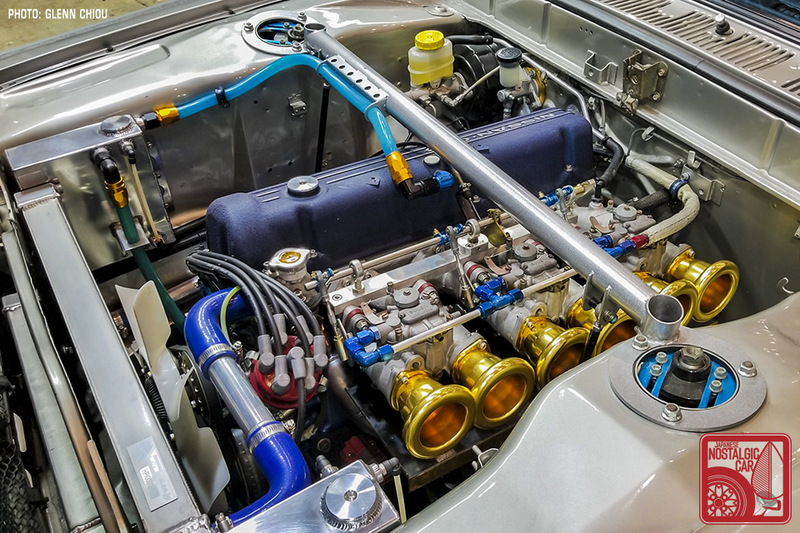 Kansai Service is a well-known name among Japanese tuning houses, and their style hails straight from the heyday of expressway battles. Its list of mods reads like your dream roll call — HKS 2.8-liter with Step 2 V-cam system, R-Type intercooler, GTIII-4R turbos, F-Con V Pro engine management, Project mu calipers, and 19-inch Advan GT wheels. 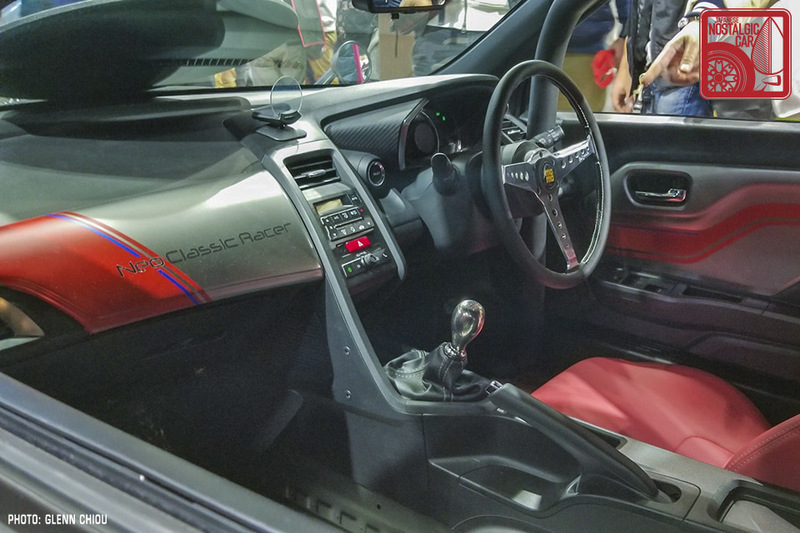 There’s nothing like a Bubble Era-style R34 Skyline GT-R.
Nagoya’s Rocky Auto showed off its golden 2000GT replica. Called the Rocky Auto 3000GT, beneath its flowing hood resides a 3.0-liter Toyota 2JZ inline-six. 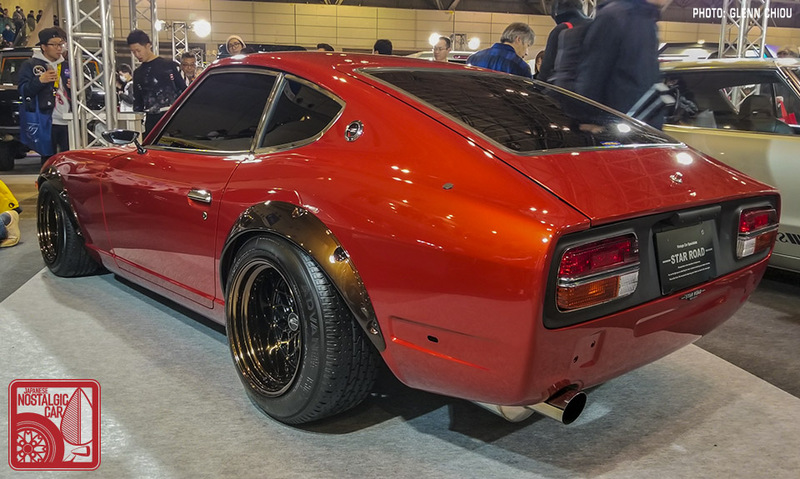 In fact, the entire drivetrain is as modern as a 1990s Lexus, but the body was entirely sculpted from scratch to mimic the 2000GT’s while accommodating the modern drivetrain. 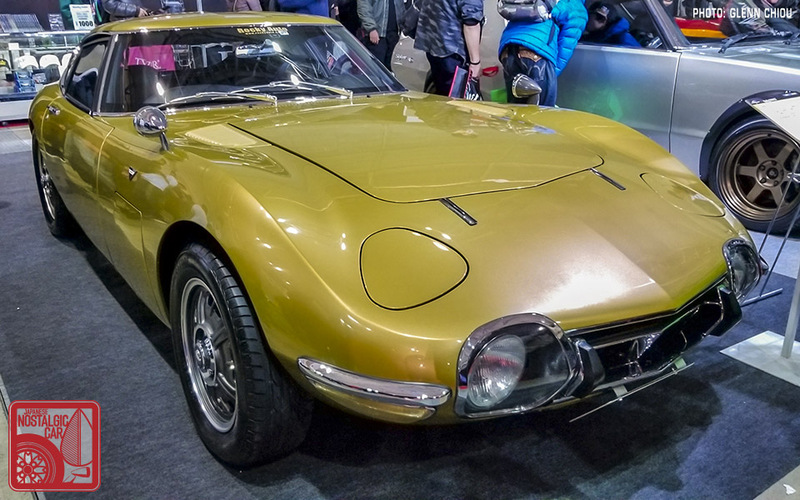 The gold paint is a tribute to the rarest of colors for the original 2000GT, of which only three were painted in this color from the factory. We know these cars are not to everyone’s tastes, but they are part of Japan’s motoring fabric. The shops, builders and tuners that come to the show every year help keep it vibrant and fresh. 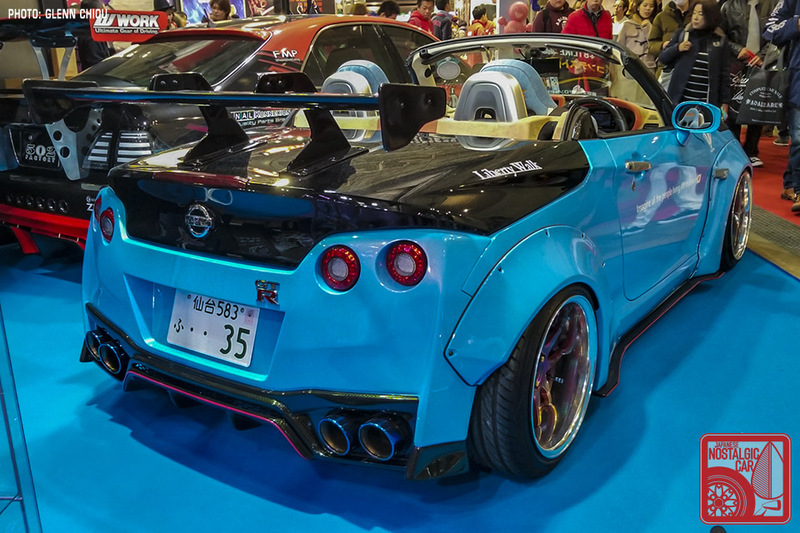 At the end of the day, the Tokyo Auto Salon has always been a festival of automotive imagination. tagged: 2000gt, ae86, c10, c110, cherry, Civic Type R, copen, corolla, corolla levin, daihatsu, fairlady z, fc3s, Hakosuka, honda, kei, kenmeri, lexus, Lexus RC, liberty walk, mazda, nissan, r34, r35, Rocket Bunny, rocky auto, rx-7, s13, s14, S15, s30 z, s660, silvia, skyline, Speed Forme, star road, tokyo auto salon, toyota, wagons. 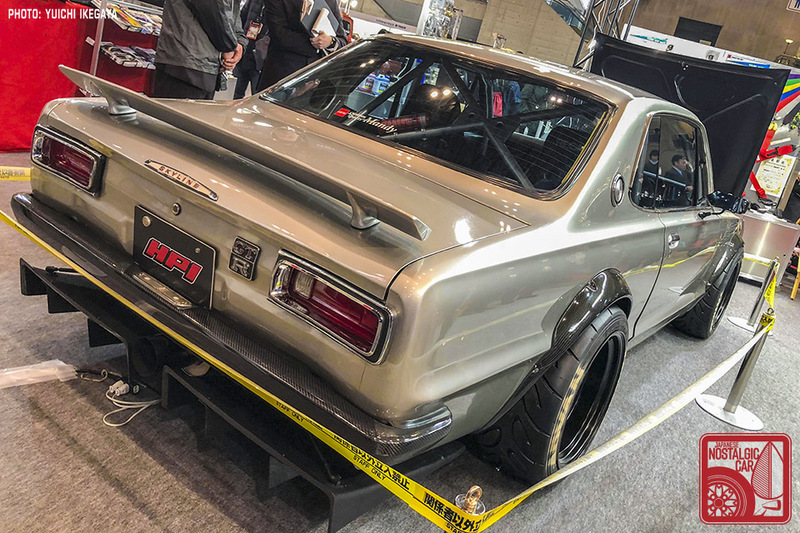 So rare to see a Hako without bolt-on arches, but that white one looks great, even if the TE37s are possibly too big a contrast on an otherwise standard shell for me. The wheels on that Cherry are also a bit of a miss. Can’t get enough of that S660 Neo Classic Racer though. Were it not for the graphics I’d be getting a strong dieselpunk vibe from it – something about the chunky retro-modern look, the hood straps, the crossed-off headlights and the contrast of that Momo wheel. Still like the Pandem kit. 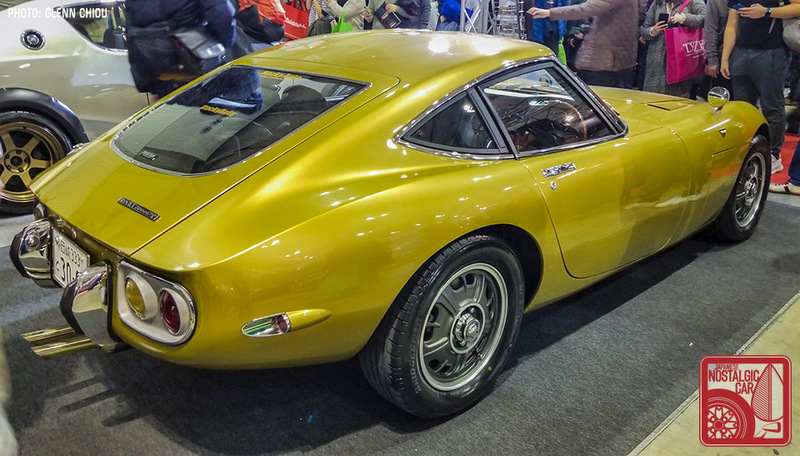 Man, that 3000GT in gold… that is pure lust right there y’all.